That is a swedish ww2 mapecase. You can see the crown stamp on the inside of the lid. That was used pre-war and up til 1943 then we got the three crown markings. Hi there - this is not British. It is a Swedish map case, made before 1942 when they changed from the single crown stamp to three crowns stamp on their equipment. I'm not sure without looking at it in more detail but this looks like a WW2 Swedish army item, the crown stamp is not a George VI crown so pretty sure it's not British army. Nice example though. 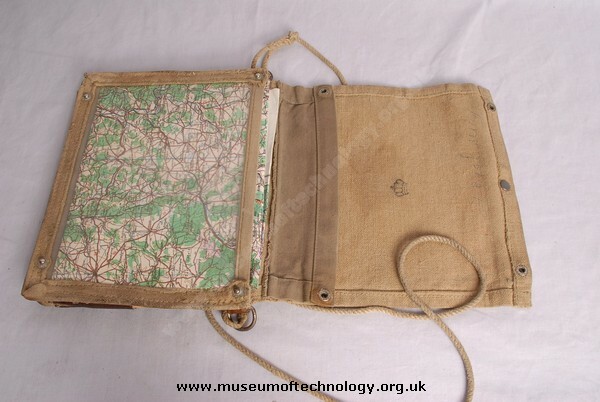 British army officers / despatch riders map cases were similar but of all canvas with a 3/4 in webbing strap, no leather.